Power Vac has over 20 years of experience in the cleaning industry and prides itself in being one of Saint Clair Shores's leading sources for chimney cleaning. 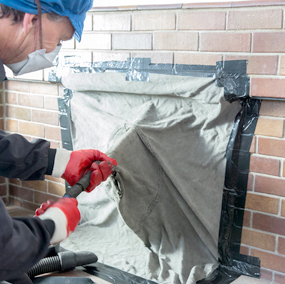 When was the last time you had your chimney cleaned? If you had to stop and think about it, chances are, it's probably been a while. Fortunately, Power Vac keeps its prices low so everyone can afford to benefit from having their chimneys cleaned professionally. The experts at Power Vac recommend having your chimney swept at least once a year, even if you don't use your fireplace that much. A combination of creosote build-up and critters who can claim your chimney as their home can ultimately pose fire hazards that can impede your family's safety. Power Vac uses advanced equipment, equipment, tools, parts and products to ensure safe and reliable service for your chimney. Contact Power Vac today to schedule an appointment and find out why we have thousands of satisfied customers! Why Choose Power Vac for Your Chimney Sweep Needs? Power Vac is a chimney cleaning company that's proudly been serving our Michigan neighbors for over 20 years. Our family owned and operated business isn't built on the focus of being the biggest company in the land; we just want to be the best, and we do everything we can to deliver an exceptional experience to our customers time after time. At Power Vac, happy customers and safe chimneys are our specialties. Minimize the risk of fires started in your chimney and schedule your chimney inspection and cleaning today! We utilize the most powerful equipment in the industry backed by cleaning processes we've been perfecting for decades. Our professional, highly qualified and uniformed technicians will gladly take the time to explain the chimney cleaning process to you and ensure a comprehensive clean. How often do I need to have my chimneys cleaned? Annually. 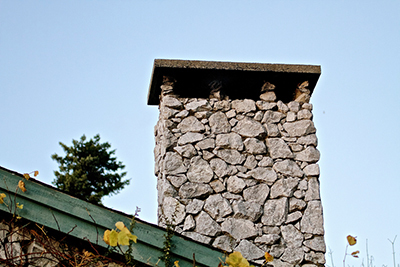 Even if you don't use your chimney that often, the buildup of creosote and soot can create fire and health hazards. A seldom-used chimney is actually an ideal place for critters to create nests, which can lead to a number of problems, too. Creosote is a tar-like substance that builds up when you burn wood in your fireplace. It's a highly-flammable substance that lines the inside of the chimney and must be properly removed to reduce fire hazards. Certain woods, such as pine, can cause a more rapid buildup of creosote. What are the benefits of having my chimney cleaned? Reduction of fire hazards & increased home safety. Identification & removal of animals. Identification of deterioration & proactive planning for repairs. A sweep of your chimney is a boost in your home's safety. Discover why we're Michigan's premier chimney cleaning specialists! It's recommended to have your chimney properly cleaned once per year. Contact Power Vac today to schedule an appointment and find out why we have thousands of satisfied customers!